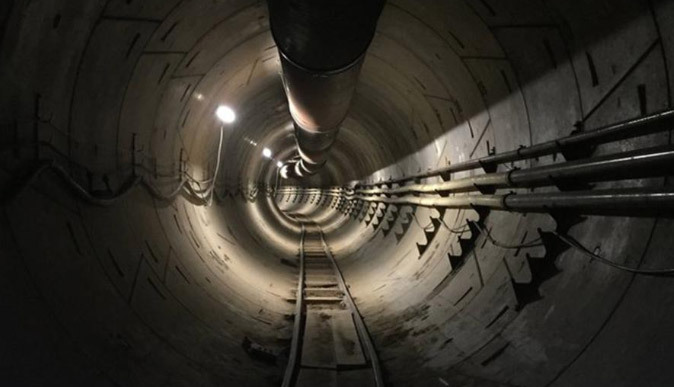 The tech entrepreneur recently tweeted that tunnels under Los Angeles were almost completed and that free rides under the city would be offered soon. In a series of tweets yesterday, Elon Musk made a number of bold claims. First, he said the tunnel under Los Angeles is nearly done and the public would be invited to go for free rides under the city soon. Second, he said work on a tunnel linking New York City and Washington, DC, has already begun. Third, he claimed a Hyperloop connection between Los Angeles and San Francisco would begin next year.